Attending Netflix’s Mowgli Screening & Press Meet Kareena Kapoor look gorgeous. 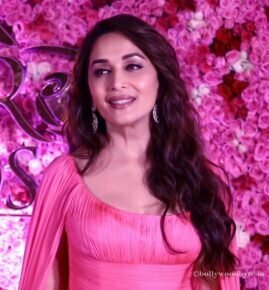 She along with Madhuri Dixit, Freida Pinto, Abhishek Bachchan, Christian Bale were spotted promoting their upcoming movie through a press event. Later in the day they also attended the special screening of the movie held in Mumbai.